The Best Way to Stay In Yosemite! Bette's Yosemite Bed and Breakfast is conveniently located in Fish Camp on Highway 41, adjacent to the Sierra National Forest. 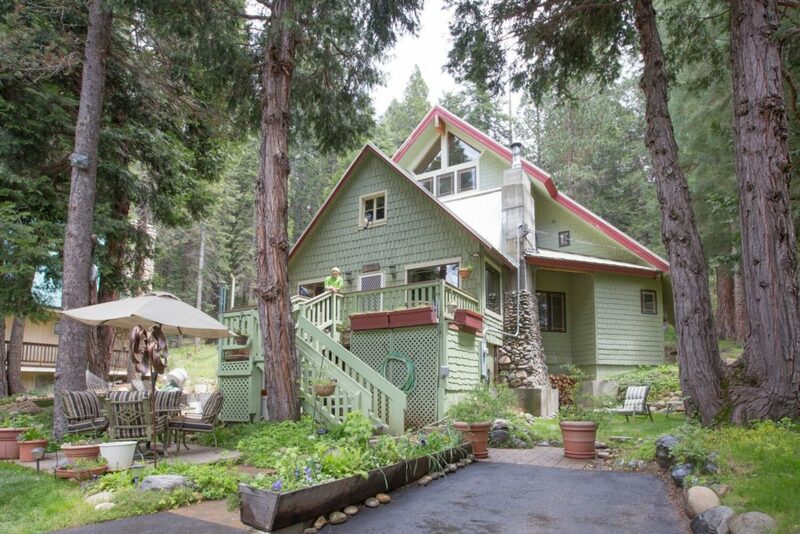 Open all year, this large, contemporary 3-story home is THE CLOSEST B&B TO YOSEMITE. Radiant floor heating throughout creates a cozy atmosphere with a comfortable sectional couch, TV and DVD in common sitting area. Sliding-glass door opens to a ground-level patio, deck, and views of the forest. Our B&B has two large guest rooms: Sentinel Dome Room on ground level with double bed, and private sumptuous compartmentalized bathroom, complete with walk-in shower. The Bubble Suite on the second level has a wonderful view of the Forest, queen bed, cozy sitting room, and private compartmentalized bath with shower/tub, and granite counter top basins. Accept AMEX, MC and Visa.